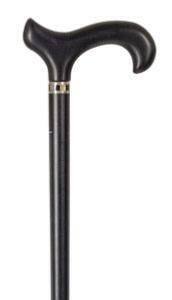 A very stylish derby cane suitable for everyday use or on smart occasions. The handle and shaft are made from black beech wood, fitted with an Art Deco style chrome plated collar set with alternate panels of onyx and mother of pearl. 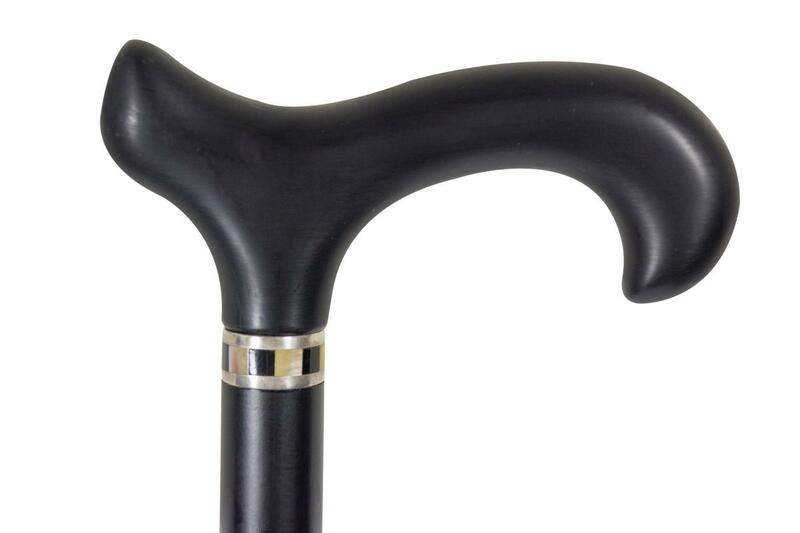 The overall height of the cane is 92cm and it is fitted with a non-slip rubber ferrule. Ferrule diameter 19mm.